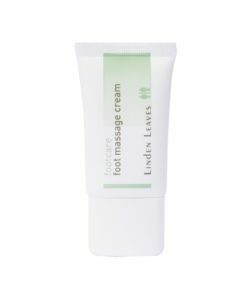 View cart “foot massage cream – travel tube” has been added to your cart. A cooling revitalising spritzer with essential oil of lemongrass for its fresh, naturally anti-bacterial properties and essential oil of sage to help stimulate circulation. The perfect way to refresh and revive weary feet on the go, this soothing, cooling foot reviver helps prevent swelling and ‘heavy’ legs and ankles. A revitalising spritzer designed to refresh and revive weary feet on the go. Formulated with essential oil of lemongrass for its naturally antibacterial properties, and essential oil of sage to help stimulate circulation, this foot reviver is the perfect way to prevent swelling and “heavy” legs and ankles. I have this on hand in the summer months. Very refreshing. The last few weeks of 2016 were hectic and my feet took a hammering, but no time for a spa. My favourite local pharmacy staff suggested this product – Oh My Goodness, it is awesome, instantly cooling and refreshing. Treat yourself it is worth it!!!! This is heaven. Spray directly on your feet or even over socks to instantly cool and revive tired feet. I often give my weary feet a quick spritz at lunch time to keep me going through the afternoon. It smells wonderful too. I love this product. It smells divine. I use it either by spraying directly on my feet or squirt a few sprays into my foot spa.